Does Your Tech Start-Up Need A Trip To Silicon Valley? If you haven’t noticed yet, after a successful seed funding round, Quote Roller’s new digs is a house-slash-office in San Francisco. We still have our roots in Minsk and branches in Barcelona and NYC, but, like the majority of the tech/software/geeks-running-the-world companies, our homebase is now in the Silicon Valley. Since so many of our clients are also tech-based SMBs, we thought it’d be interesting to our readers to read our founder and COO Mikita Mikado’s introspective on the effects of the Silicon Valley on a boot-strapped start-up. Our distinguished founders: Mikita (left) and Serge. Very often we hear questions about the wisdom of spending money on flights and stay in Silicon Valley. This post will explain why these expenses are justified — plus, of course, our first visit was totally awesome. 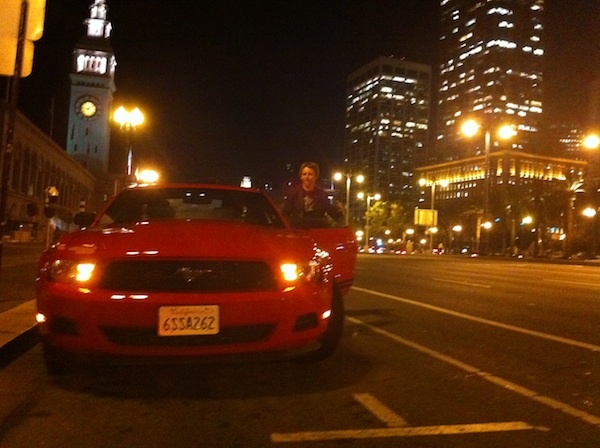 It all started last August, when Serge [Barysuik, Quote Roller co-founder and CTO] and I first visited San Francisco. The second thing I saw was a sparkle in Serge’s eyes, as he stared at a huge Salesforce billboard — after all, we came to Cali looking for investors! And then something magical happened. We’d booked a reasonably priced Ford Focus to rent. The Budget rental guy took my passport when I went to pay and asked me what we were doing so far from home. So we told him that we owned a start-up and had came to San Fran for a conference. Then a sparkle glimmered in that guy’s eyes, and he said, “A start-up? That’s so cool. Dudes, you don’t happen to be engineers, do you?” We confirmed we were, to which he replied, “Awesome, I have this idea. It’s somewhere between Foursquare and TripAdviser.” And then he gave us his two-minute elevator pitch, including budgeting and sales. It was a little shocking for a guy from Minsk, but impressive — an ordinary car rental clerk quickly gave it his all, while other people were waiting behind me. He ended the conversation by taking our cards and whispering, “I’ll e-mail you my idea. If you promise to answer, I’ll add a couple coupon codes, and, instead of the small car, I’ll update you to a red Mustang for less” than we were planning to pay. Sitting in a red Ford Mustang, I thought – this is it: the start-up mecca of my dreams. We drove off feeling confident that we were in the right place, ready to get that funding we were hoping for. Then, we stayed in the Valley for more than two months more. We had arrived feeling really good about ourselves, but then life started to kick us in the nuts. And the money didn’t start to flow like Napa Valley wine. Investors repudiated, telling us that we were too green and that we had come too soon. We’re sociable guys, we were able to meet a huge number of people at every conference. Every person we met was an opportunity to talk about our project and to bond over what he or she was working on. And then we reached kind of an obstacle. They speak a different language there. And our Russians weren’t struggling over the English, we were struggling over the SilVal lingo. By communicating with really experienced people, we began to realize that we knew too little. So we started to read up on all those hot start-up authors folks were referencing. I started reading Four Steps to Epiphany by Steve Blank and Lean Start-Up by Eric Ries, among other books folks couldn’t stop talking about. Everything started to become clearer about who needs to sell a product and how. We began to understand what metrics should be considered within the application, and how to build a better team. So, we were still pumped. Two months later, we returned to Minsk, where we began to work in a new way, responding to what we learned from the books we read and the people we met in the Silicon Valley. Our approach to work changed. Instead of our constant programming, we began to communicate with customers more and experimenting with thought and conversion metrics. Then there were two more trips that Serge and I took separately. 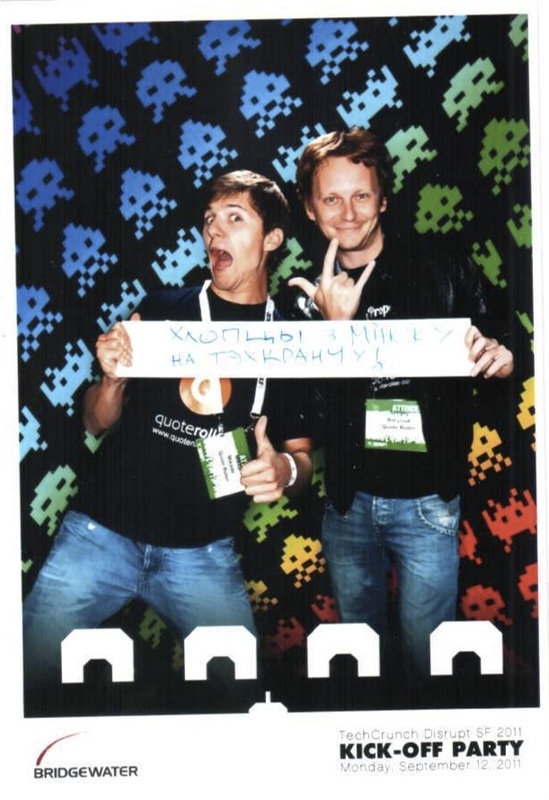 One of us worked in Minsk with the growing team, while the other was in San Francisco. Now, we have nearly 30,000 subscribers and have successfully fundraised over our $500k goal. We’re expanding our team, and we’ve set up shop permanently in San Francisco. Do you think all this would have happened if we hadn’t visited Silicon Valley? If we had just stayed in Belarus? Maybe, but unlikely. Of course, one can argue whether or not to go to the Valley in order to learn something. However, in our industry, speed is important in your development. Recent trends you will not find in books. We treasure our experience that eventually led us to doubling our staff, opening multiple international locations and moving to San Fran ourselves. Maybe Quote Roller would have been just ask successful without our Cali experience, but we’re glad we didn’t have to find out. …Besides, how many of the sales clerks in Belarus really want to build tech-based start-ups?